The other day each of our kids received a treat from Grandma and Grandpa... a $5 gift card to Five Below where everything is $5 or below (astounding name)! I watched the excitement in each of their eyes as they spread through the small store like an army invading the shores of Normandy. The girls looking for bracelets, necklaces, Dora, and whatever else young girls look for. Malachi and Silas, like most boys, were looking for the biggest toys; guns, bats, lightsabers, etc. I must admit I was looking for the biggest toys for them. I've been reading through the book of Mark lately and was reminded how we often look for the big things even as adults. In Mark 8 and the feeding of the 4,000 I was reminded how Jesus more times than not decides to work through the smaller things than maybe the biggest and greatest plans we have. When you compare the two stories of the feeding of the 4,000 and the feeding of the 5,000 there is an interesting anomaly. Forgive me as I geek out and use my Engineering mind that I paid thousands for in school and dissect this complicated equation above. Hold with me for a minute I don't want to lose you. Jesus did more with less!! I know the math above is not hard to analyze, but I do believe it is hard to understand that Jesus often does more with less. 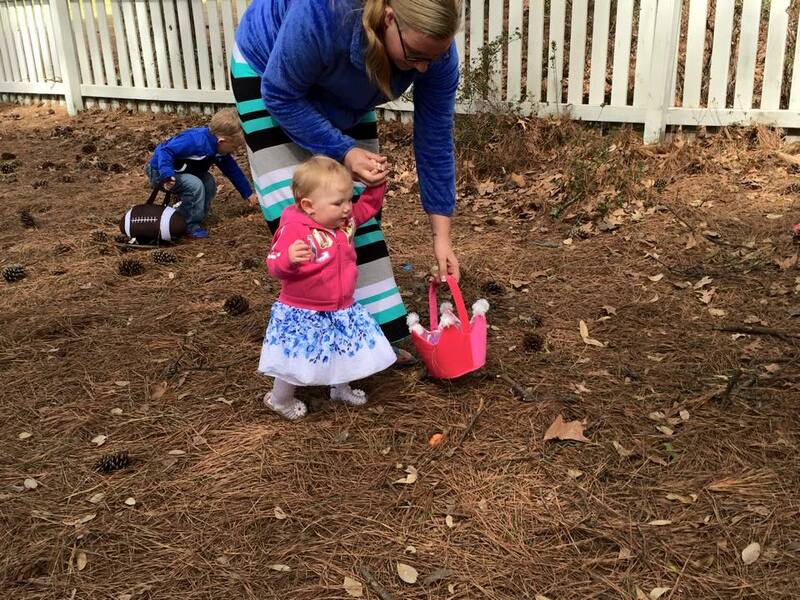 Jesus fed more people with less bread and even collected more baskets of bread afterwards. I know the miracle of feeding that many people with so few loaves of bread, but I found it intersting that the more loaves didn't even feed more people and that the more loaves had smaller amounts left over. Is it because the 4,000 men were more hungry? Or is it possible that God chooses to pay no attention to the things that we think are important. How often do we think that to do more we have to have more people, more resources, nicer stuff, more access, more charisma, more you fill in the blank? Just like Malachi and myself thought the big guns were cooler than maybe the smaller toys maybe Jesus reminded me in this text that he measure something entirely different. And in case your wondering we landed on Boxing Gloves! 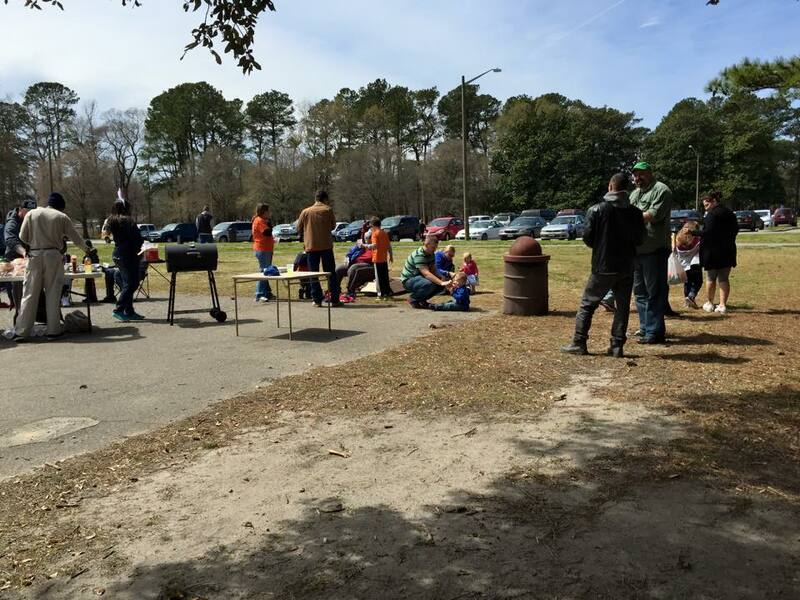 Below are some pics of Easter Events done through our neighborhoods. 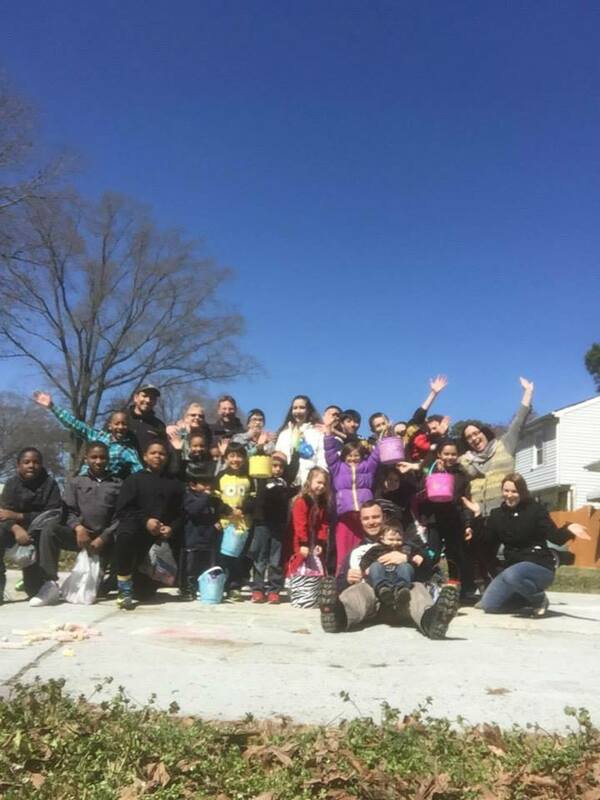 Instead of holding one large Easter Event and asking people to come to us, we decided to work in the small and have Awaken go in their neighborhoods. For us a reminder again how God works in the small. Our Norfolk Group decided to have their event at the local park and interacted with 60+ people who would not have come to a Worship Gathering. 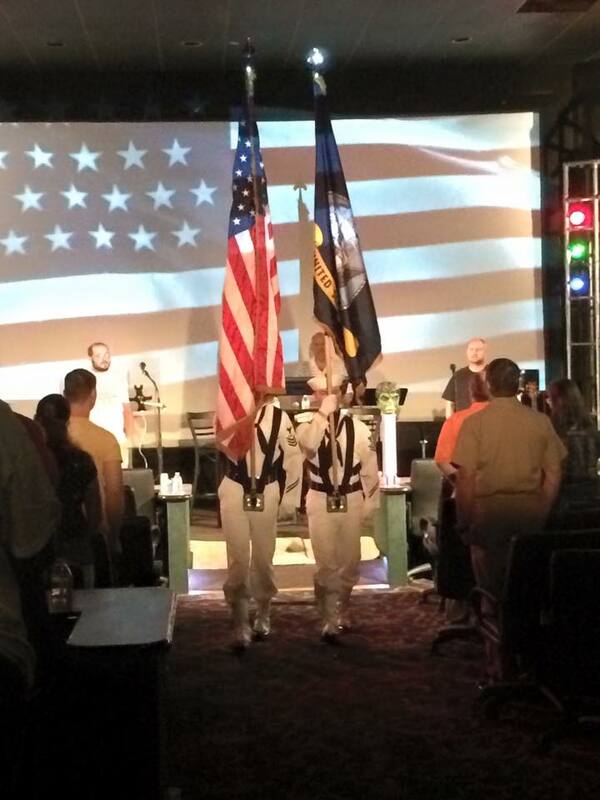 Below are some pictures from our special Memorial Day celebration honoring our military. We had LCDR (Lieutenant Commander) Robert Rodriguez, who is an EOD (Explosive Ordinance Disposal Technician) Specialist and has seen plenty of combat during his 28 years in the United States Navy. 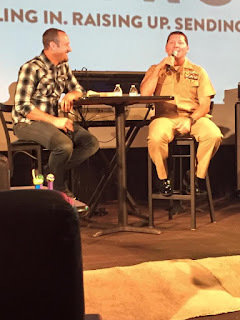 LCDR Rodriguez did a great job sharing with the Awaken family about the correlation of Military Combat and Spiritual Warfare, how men are called to lead their families, and how the Church is called to be the ultimate community and brotherhood. Also here is the link for the interview.